1st May 2013 marked the 40th anniversary of the official Royal opening of the North Yorkshire Moors Railway by HRH The Duchess of Kent on Tuesday 1st May 1973 - a glorious day in terms of both the event and the weather! The 1st May 2013 also proved to be a wonderful day of celebration and the weather was almost as good! 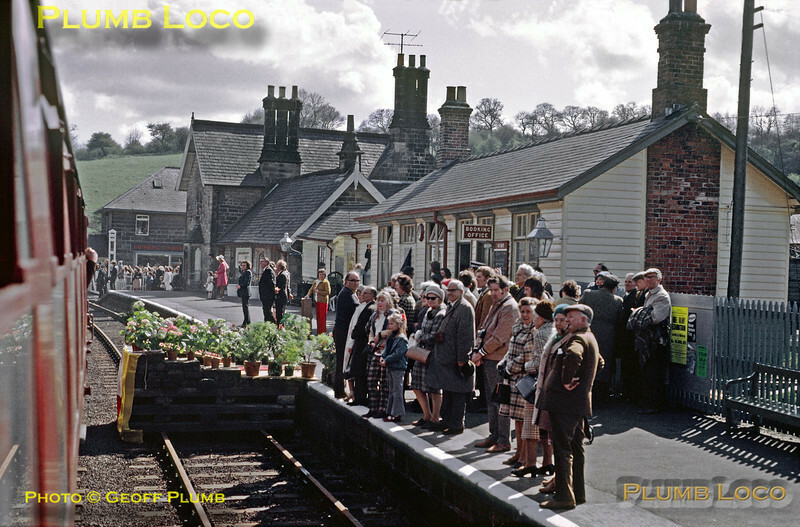 HRH The Duchess of Kent unveiled another commemorative plaque at Grosmont station and then boarded the opening special train via the temporary ramp built over the down line, seen in this shot, as the train departs for Pickering on the afternoon of Tuesday 1st May 1973. Slide No. 11046.